GoldenEar Technology’s Triton line of loudspeakers is getting a little crowded. At first it comprised only the Triton Two and Three, both of which feature powered subwoofer sections. These were later joined by the smaller, passive Triton Seven, and then the new top model, the Triton One, which has no fewer than three powered woofers and four passive bass radiators, and is a tour de force of design and sound quality at its list price of $4999.98 USD per pair. The newest and fifth Triton model is, well, the Five -- another passive model, and larger than the Seven. Although the price of the Triton Three recently rose to $1099.99 each, the new Five costs only $100 less: $999.99 each. 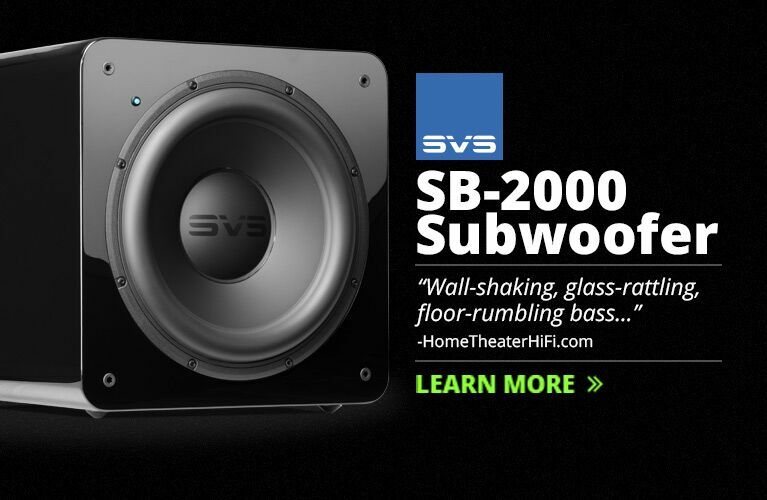 Some might think that having two speakers in the same line with a price differential of only 10% makes little sense -- and that offering a speaker that adds the advantage of a powered subwoofer section for so small an increase in price makes even less sense. Nonetheless, nearly universal praise has been heaped on each of the first four Triton models, and anyone familiar with GoldenEar knows that its president, Sandy Gross, has been the man behind the development of many other highly regarded speakers, including models from Definitive Technology and Polk Audio. Knowing what I know about the origins of GoldenEar Technology and of its Triton speakers, I agreed to review the Triton Five, despite my reservations about its raison d’être. What distinguishes the Five from the four other Tritons? Toward the bottom of its side panels are the same 8” passive radiators as are found on the Seven, but twice as many: four, to be exact, in opposed pairs. At 6”, the two long-throw midrange-woofer drivers on the front panel, one above and one below the tweeter, are larger than the Seven’s two 5.25” midrange-woofers. The Five’s High-Velocity Folded Ribbon (HVFR) is the same tweeter used in the other Tritons. (Instead of moving back and forth like a conventional dome tweeter, a folded ribbon moves air by expanding and contracting, accordion fashion.) According to Sandy Gross, the Five’s Linear-Phase Balanced crossover network uses polypropylene capacitors, instead of the Seven’s Mylar types. And similar to the One, the Five’s crossover is a balanced design that “places the components electrically on both sides of the drivers.” The Five is also said to be voiced similarly to the One. Like all GoldenEar speakers, the Five and its proprietary drivers were designed at the company’s facility in Arnprior, in Ontario, Canada, and manufactured in China. The Five is quite similar in appearance to the smaller Seven. 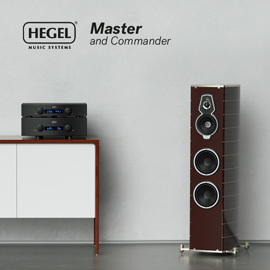 Its cabinet is angled back (although at slightly less of an angle than the Seven), and the speaker is wider at the rear than in front, to create nonparallel interior walls to better control standing waves. The Triton Five measures 44.25”H (including base, without spikes) x 8.125”W x 12.375”D (the base measures 11”W x 16.5”D), and weighs 40 pounds. As with all Triton speakers, most of the cabinet is covered by a black-cloth “sock,” with a gloss-black plastic cap and wooden base plate; the latter can be fitted with rubber feet or spikes (provided). The cloth that covers most of the Five isn’t as attractive as a high-quality real-wood veneer, but I prefer it to vinyl finishes, which can look a little drab. Also like all Triton speakers, the Five has a single set of gold-plated binding posts in a small recess on the rear panel. Like the other Tritons, the Five’s nominal impedance is specified as “compatible with 8 ohms” and its efficiency as 90dB -- slightly higher than the 89dB-efficient Seven, and the same as the smallest powered Triton, the Three. The Five’s claimed frequency range is 26Hz-35kHz, with a recommended range of amplification of 15-400Wpc. The GoldenEar Triton Fives spent time with my reference Anthem electronics, the Statement D2 audio/video processor and Statement M1 mono amplifiers, as well with the more modest but still very high-performing NuPrime IDA-8 integrated amplifier-DAC (review forthcoming). Sources were an Asus VivoBook X200MA laptop running Windows 8.1 and foobar2000, a Bel Canto Design mLink USB converter, and an Oppo BDP-105 universal Blu-ray player. Cables and accessories included various models from Analysis Plus, AudioQuest, Blue Circle Audio, Essential Sound Products, Nordost, and ZeroSurge. Sandy Gross recommended that the Triton Fives be placed widely apart. I put about 9’ between them -- about as far apart as I can comfortably place speakers in my room -- and sat about the same distance from each. I also toed them in toward but not quite directly at my listening position. Gross had also sent along some of his favorite demo music, on two archival-quality MAM-A gold CD-Rs. Rather than rip these to my hard drive, which is how I listen to most of my music these days, I played them in the Oppo. From the first time I listened to the Fives, I immediately heard the familial sound of GoldenEar’s Triton line. They produced soundstages that were very wide and quite deep -- the sound was expansive -- and placed aural objects on those stages with uncanny precision. The bass was not as extended as with the powered Tritons, but like the smaller, passive Seven, the Five produced very good bass for a relatively small, passive floorstander -- no doubt due, at least in part, to its four passive radiators. But as great as the Triton Five’s bass was, I was even more impressed by its integration of that bass with the highs from its HVFR tweeter and the midrange frequencies reproduced by its midrange-woofers -- the sound was very balanced overall. Billy Idol’s “White Wedding (Part 1),” from Billy Idol (24-bit/192kHz FLAC, Capitol/HDtracks), growled and bristled with energy. The driving beat of the drums and bass guitar was taut, and the electric guitar cut through the soundstage like a chainsaw. Idol’s snarling voice appeared between the speakers at just the right depth, with a sharply drawn outline and plenty of weight, while backing voices were placed farther back, with slightly more diffuse images. With the Triton Fives’ ability to float images holographically in the soundstage and their solid reproduction of bass, this high-resolution version of Billy Idol had incredibly compelling sound. When I switched to Sir Charles Mackerras leading the Scottish Chamber Orchestra and Chorus in Mozart’s Requiem (Levin Edition) (24/96 FLAC, Linn), the Triton Five demonstrated its ability to reproduce all the nuances of well-recorded vocal soloists, choir, and orchestra. Solo singers were carefully separated from one another, and the chorus and orchestra were parts of an entirely believable re-creation of the performance, with the orchestra spread evenly across the soundstage. The dynamic strings in Confutatis were contrasted with the delicate yet expressive voices of the choir, which hovered gracefully between the speakers and filled most of the space between them. The strings weren’t quite as sweet as I’ve heard them through some other speakers, such as the KEF R900s, but they still sounded fantastic, were never fatiguing, and were always extremely listenable without sounding rolled off. The steely acoustic guitars in Cyndi Lauper’s The Body Acoustic (16/44.1 FLAC, Daylight/Epic) sounded vibrant and alive through the Triton Fives, which reproduced Lauper’s voice with a presence that was strikingly lively but not unnaturally so. This recording has some sibilance that the Five did nothing to exacerbate -- I thoroughly enjoyed listening to the entire album through this smooth-sounding speaker. This acoustic album is quite dynamic, as evidenced by the drums in “Time After Time,” which the Fives couldn’t fully reproduce. I was a little surprised that I noticed this with such a simple acoustic track, as the speaker did an admirable job of replicating the opening drum beats of the wonderfully recorded “Fallen Angel,” from Robbie Robertson’s Robbie Robertson/Storyville: Expanded Edition (16/44.1 FLAC, Universal). Admittedly, the Fives didn’t fully realize the bass on the Robertson album either, but it still sounded full and robust, with a vast soundstage and stunning vocals. The moody atmosphere of “Somewhere Down the Crazy River” was palpable, Robertson’s voice as he speaks sounding particularly gritty and raw. Meanwhile, the voice of Sam Llanas lazily floated farther back in the clearly defined soundstage, percussion jumping succinctly and precisely in and among the voices. One great thing about the Triton Five’s bass was that, even though it didn’t fully reach down into the lowest octave, it did not overload or show any real signs of stress, even at extremely high levels, always remaining tight and musical. Playing Eiji Oue and the Minnesota Orchestra’s recording of Aaron Copland’s Fanfare for the Common Man (16/44.1 FLAC, Reference), from Gross’s demo disc, I heard the massively concussive timpani reproduced at astonishingly realistic levels with excellent articulation -- each drumstroke sounded slightly different, while the brass still soared with astonishing clarity. The Triton Fives did an outstanding job of reproducing the grand scale of this recording, a demo standard that can showcase a speaker’s abilities and its weaknesses. The Triton Five had many of the former and scant few of the latter. Although the Triton Five’s performance was superb with the 1000W Anthem Statement M1 mono power amplifier ($7000/pair), it was nearly as good with the more real-world-priced ($995), 100Wpc NuPrime IDA-8 integrated amplifier-DAC, a fantastic performer in its own right. I found that the 50Wpc Optoma NuForce DDA120 didn’t have quite enough juice to drive the Triton Fives to the room-filling levels this speaker is capable of. However, the IDA-8 proved that you don’t need a super-high-powered, multikilobuck amp to make this passive GoldenEar sound really good. In his glowing review, Doug Schneider described the bass prowess of the top Triton model, the One, but I didn’t lament the Five’s lack of a powered sub -- its sealed design provided tight control over the bass it produced. The larger KEF R900 ($4999.98/pair), with its multiple ports, goes lower than the Five with Robertson’s “Fallen Angel,” but sounds a little looser, the drum beats very full-bodied but slightly indistinct. The R900s also produce more three-dimensional and holographic soundstages, but the Triton Fives surpassed the KEFs in being able to draw sharper image outlines, which resulted in better lateral imaging. For example, with “Misguided Angel,” from the Cowboy Junkies’ The Trinity Session (16/44.1 FLAC, RCA/Classic), the KEFs’ deeper soundstage better captured the sense of space in Toronto’s Church of the Holy Trinity, where the album was recorded. In contrast, the GoldenEars did a better job of separating the voices of Margo and John Timmins from side to side, when he joins her in the chorus. The other speakers I had on hand for comparison were Definitive Technology’s Mythos ST-Ls ($4999.90/pair), which have powered subwoofer sections and are updates of the original Mythos ST, developed when Gross still worked for Definitive Technology. Predictably, the bass of the full-range Mythos ST-L reproduced the drums in “Fallen Angel” and “White Wedding (Part 1)” with great depth, and an ability to energize my room that neither the Triton Five nor the KEF R900 could match. The Mythos ST-L’s squeaky-clean midrange provided an arresting quality to voices similar to that of the Triton Five, but the guitar in “White Wedding” could sound a bit hard at high volumes -- the ST-Ls weren’t able to match the GoldenEars’ smooth, inviting highs. I may have been a little indifferent about reviewing the GoldenEar Triton Five . . . at first. 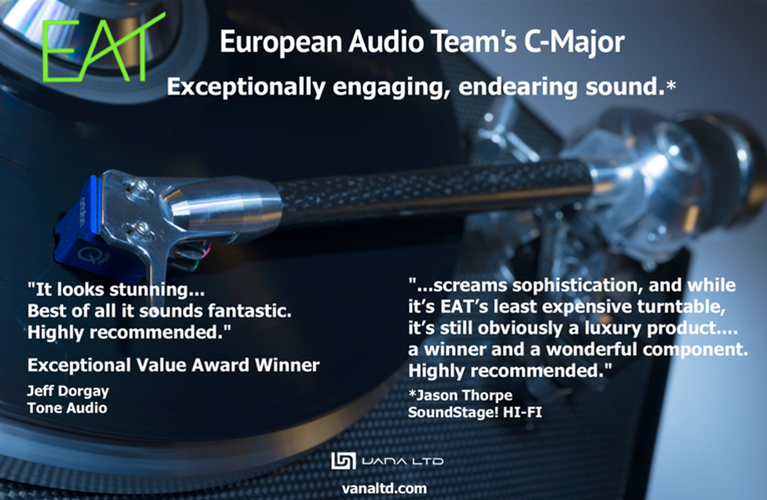 Sure, it sounded great when I heard it in January, at the 2015 Consumer Electronics Show, but I’ve come to expect that from GoldenEar speakers -- I probably take their excellent performance and high value a bit for granted. And following the recent introduction of the truly impressive Triton One, it would be easy to overlook this second-least-expensive model in the Triton line. Those who want the slam of a speaker with a built-in powered subwoofer should probably get a pair of Triton Ones, Twos, or Threes -- they won’t be disappointed. But the rest of us shouldn’t overlook the Triton Fives. 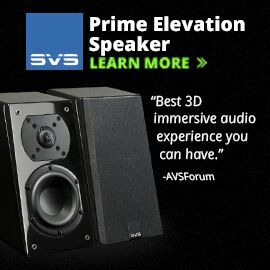 What they lack in absolute bass extension they more than make up for with a supremely balanced sound, and a wide soundstage with pinpoint imaging that I found easy to listen to -- always engaging and musically satisfying. At $1999.98/pair, the GoldenEar Triton Five is a fantastic performer -- a true high-end speaker at a true entry-level price. It receives my highest recommendation.